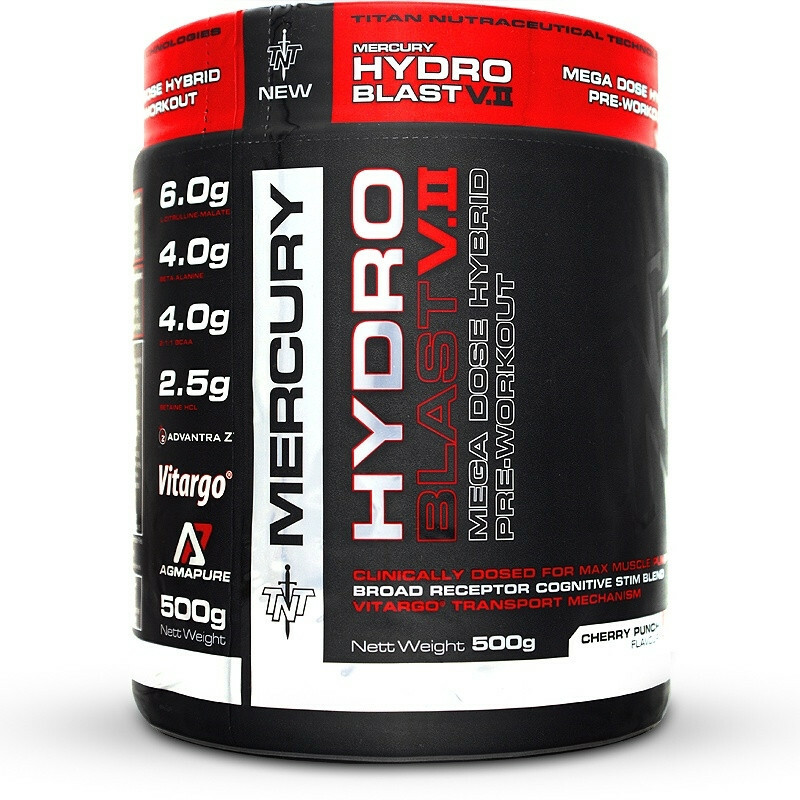 TNT Hydro Blast V2 is the perfect all-in-one workout performance booster for fitness athletes. Having more energy means you can train harder and longer in the gym. Each single scoop will give you 187 mg of caffeine which is enough to give most athletes a smooth performance increase for their gym sessions. The mental focus blend ensures that you are not distracted during your workouts so that you get the most from your time spent in the gym. As you train harder you will need to make sure that you recover properly from each session. The Recovery blend contains most of the ingredients known to improve recovery and prevent possible muscle loss due to inadequate recovery. The TNT Hydro Blast V2 is a complete pre-workout for the fitness individual looking for a single performance boosting solution. A Whey Protein shake is the only other product we would recommend together with the Hydro Blast. Most users should be able to get a great workout boost by using just a single scoop which means the product will last almost 2 months. A complete product at an affordable price. Citrulline-Malate, Beta Alanine, BCAAs (L-Leucine, L-Isoluecine, L-Valine), Betaine HCL, Malic Acid, Vitargo®, Taurine, Anti-Caking Agent, N-Acetyl-L-Tyrosine, Agmapure, Caffeine, Siberian Ginseng, Magnesium Oxide, Advantra Z®, Rhodiola Rosea 3%, Citrus Bioflavonoids, Nicotinic Acid, Tribulis Terrestris Powder 40%, Vitamin B6, Zinc Oxide, Alpha Lipoic Acid, Bioperine®, Boron AAC, Vitamin D, Dextrose, Flavourants, Salt, Sucralose, MCT Oil, Colourants. Made in a factory that also uses dairy, soy, egg and gluten (wheat and oats). • Full Serving: Mix 2 scoops into 400 – 500 ml of chilled water. • Half Serving: Mix 1 scoop into 200 – 250 ml. • Drink 10 – 15 minutes before exercise. • To assess tolerance to the product start by using 1 scoop first. This product contains ingredients that are listed on the WADA (World Anti Doping Association) list of banned substances. Check with a qualified healthcare professional before taking this product. Do not use if you are sensitive to caffeine, pregnant, breastfeeding, under 18 years of age, have any medical conditions that you are aware of and/or if you are taking any prescription or OTC medications. This product contains 375 mg of caffeine. Avoid using with any other caffeinated products. Too much caffeine may cause nervousness, irritability, sleeplessness, and occasionally rapid heartbeat. Before using this product consult with your physician or medical practitioner if you are not certain if you are able to use this product.